I am SO happy to be back among the blog world, I am sorry for my absence, but it just couldn't be helped. I am still getting back to normal (waking up with a migraine this morning doesn't help though), but I just can't wait any longer to share this with you! I've been cooking up this idea for awhile, and have had this sitting in my kitchen, trying to decide if I was really sure I wanted this to be my first giveaway, but I just have to share this with you! Ok, you ready? 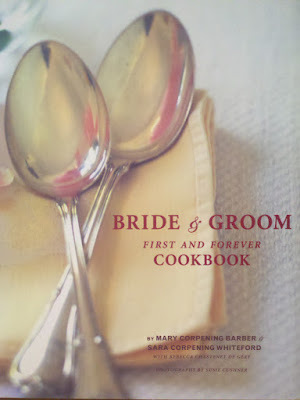 The Farmers Wife is giving away a copy of Bride & Groom First and Forever Cookbook! Ok, for those of you who are old married ladies like me, you may thinking, "Um Kim, why would I enter a contest for a book about cooking for newlyweds?!?". And my answer is, STOP THINKING! Haha! Ok not really, but allow me to explain. First off, I was given a copy of this book as a wedding gift and I remember our very first home cooked meal as newlyweds came from this cookbook. And I remember it was... Interesting. Ha! Now I knew how to cook, that wasn't the problem. But I wasn't great at timing out a meal back then, and had never ever made pizza dough without a bread machine (back before I had one of those too). Now it was a tasty pizza, but it was late to the table, different from what we normally like, and looked kinda funky. But there we sat, by the candlelight, eating our very first homemade pizza together, and laughing at my lame attempt to be romantic while eating BBQ Chicken Pizza.... And it is a memory that has stuck with me over the years. So when it comes to Valentines Day, I tend to get sappy and remember the days when I was scared to be so inventive with food, and followed this cookbook to a T! So for me this is the perfect thing to giveaway for Valentines day! It is full of romantic inspired recipes, not only dinners for 2, but also great food for a dinner party. This book as some of the best basics that I think we all tend to forget from time to time, such as making your own mayo, to roasting garlic, fondues (talk about romantic! ), and so much more! I have never been disappointed with a recipe I've made from this book, and I hope that you'll be as excited as I am about this book! And I want to add a note here too, I know that "Wedding Season" is coming up, so for anyone who needs a great wedding gift, please enter this contest too! All I ask is you include a note with a link to my site along with the gift, and I'm totally cool with you "re-gifting" this! Ok, so now are you ready for the rules? Yes, every good contest has to have rules, I'm sorry! 1. Become a Facebook follower of The Farmers Wife, you can also follow the link on the left hand side of the blog to the Facebook page. 2. Become a Google follower of The Farmers Wife Blog, also located on the left hand side of the blog, right above the Facebook badge. 3. Invite your Facebook friends to like The Farmers Wife Facebook page as well. This giveaway is open to USA residents only, including APO/FPO DPO (18 years of age and older) and will run until Monday, 2/14/11 (Valentines Day) at 11:59 pm MST. -Winner will be generated via a random number generator software program. -Product will be shipped from me, via USPS, winners name will be posted on the blog, and will be contacted by me. I will need the winner to email me their name and address for shipping. -If you are commenting using your mobile phone browser, please make sure your comment appears and stays posted before you navigate away. Ok, now get busy, and Good Luck Everyone!! I am so excited to share this with you all! So happy to hear you all are on the mend. I had a huge headache this morning too. Wonder if there was a shift in the universe...lol. Come on Spring!! Second is always good right :). I'm done with everything yay. Now the hard part...what was my favorite post....hmmmmm is it ok to say this one? lol Sad to say i have never won anything i have submitted an entry form for :( So come on little random number generator software program. Pick me pick me haha. Raw_girl, I'm so sorry! I wish I had the budget to ship outside the USA, but I just don't right now. But I hope that someday that will change, thanks for stopping by, I really enjoy your blog! I did everything you asked.. :) NOW... I'm new to your blog but my favorite post so far is the party food post. I'm always looking for new recipes when entertaining!!! I look forward to reading more of your posts! I am new to your blog, and I am now a follower. My son & his fiancee are getting married in Oct., and they love to cook. This would make a wonderful shower present. I'm a follower :) My fav post from 2011 is the party food. I must say the tractor cake is really funny. I love bean dip and Italian beef. 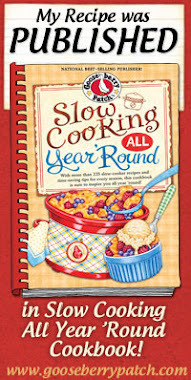 I have two questions for you: what crock pot/slow cooker do you use and have you heard of Americas Test Kitchen? 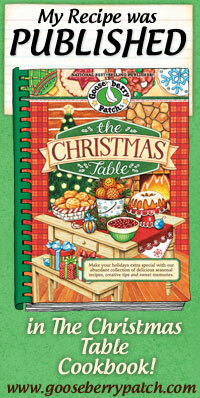 They have some good "tested" recipes...we have just cracked the cover and really enjoyed the what we have tried. You can purchase it if you're interested directly from my Amazon Store. I really love this crock-pot. The only complaint I have is it does at times cook a little on the hot side. Yes I have heard of Americas Test Kitchen, they have some great tried and true recipes, as well as a very interesting show I've gotten the pleasure of catching every once in awhile. I do hope you continue to enjoy what you try from them. Is this a hint as to something you'd like to see featured here? I'm always open for ideas! I love your blog... and everything looks so good, so I'm not sure I could pick just one recipe as my favorite. You have a good variety of foods and the recipes are fairly simple and easy to do. I still haven't had a chance to try anything, but when I do I will be sure to let you know what I think of it! 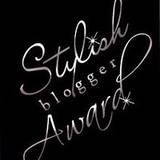 love your blog and filled all the mandatory entry. Loved your mongonlian beef post. I like on facebook, and I follow you on gfc and asked some friends to like too. Sweet and Sour chicken looks yumm! Completed all. 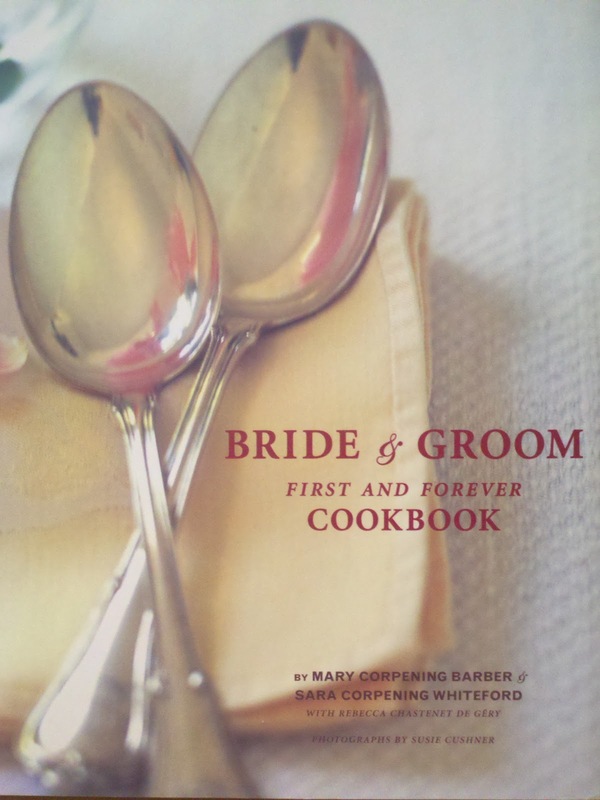 I like your review about this cookbok and starting cooking as a newlywed.